Holidaymakers who enjoy luxury camping will find that Park Umag is the perfect place to stay. This impressive site occupies a prime location on the Adriatic Sea coast of Istria in Croatia and this part of the country is famous for its intense natural beauty. 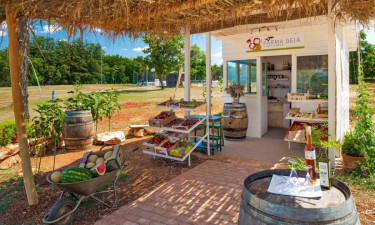 There are so many great amenities to make use of at Park Umag that most visitors will probably spend the majority of their time at this luxury camping site. What Makes Park Umag So Special? The whole family is sure to have fun at Park Umag thanks to the special entertainment programmes that are organised by staff. Several programmes are offered for children and include a wide range of fun activities for children of all ages to enjoy, while there are also family friendly and adult entertain programmes to ensure that there will never be a dull moment. The pools are open from mid-May till mid-October. Families who prefer to travel with their pets will be pleased to discover that Park Umag is dog friendly. In fact, dogs are even provided with a wide range of facilities that have been designed with their needs firmly in mind and in addition to permitting dogs to enter the mobile home the LUX-camp also provides special dog showers, a dog lawn where pets can roam freely and even dedicated dog baths. Please note that not all mobile homes allows dogs! Visitors will have plenty of opportunities to remain active during their stay by playing sports such as volleyball, tennis and football. Parents can have fun with the kids on the min golf course, while bicycle hire is also available here and cycling is the perfect way to explore the surrounding area and enjoy its intense natural beauty. 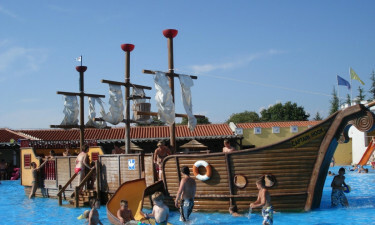 People who enjoy messing about on the water will also be able to hire a boat at Park Umag and spend a fun few hours rowing across the large lake. 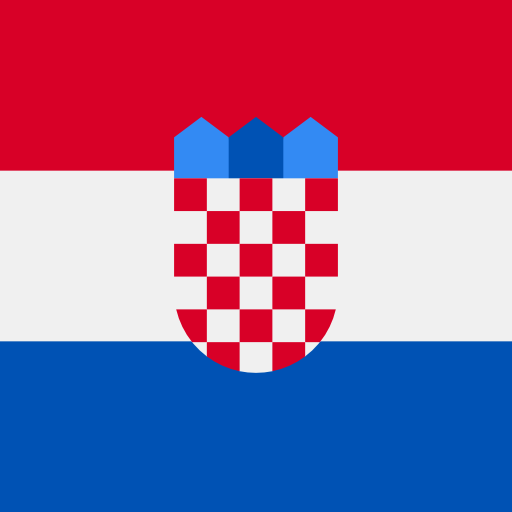 The onsite restaurant is the perfect place to sample traditional Croatian cuisine, while a selection of popular British dishes are also served here. During the day and early evening, light bites are also available at the snack bar. 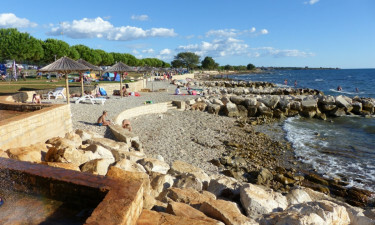 The closest town to Park Umag is less than two miles away and visitors will find a good range of bars here as well as other evening entertainment options. However, the entertainment programme on the camping site is designed so that visitors never need to venture far. The onsite supermarket is fully stocked with a wide range of food products and other essential items that visitors need during their stay as well as treats such as freshly baked bread. Charcoal grilling is permitted at Park Umag and the supermarket offers a wide range of products that are ready to go onto the grill, while special tables and benches are provided for the convenience of those who enjoy alfresco dining.